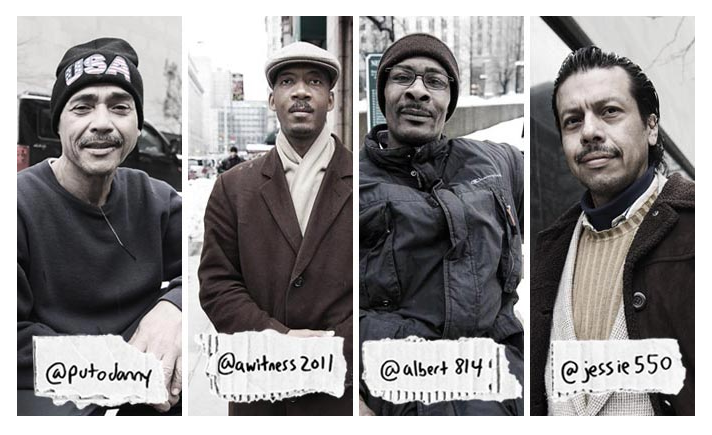 An unusual project in New York has given four homeless men an international voice. Many homeless men and women feel ignored, invisible and unheard as people walk by them each day. Underheard in New York set out to help homeless residents in New York City speak for themselves. They provided Danny, Derrick, Albert and Carlos each with their own mobile phone, a month of unlimited text messaging and a Twitter account. These men found their voices by texting their thoughts, feelings and actions to Twitter. Beautiful. How wonderful to show the world that the homeless are just like us and their voices count. We all need to remember that anyone of us could become homeless at any time. These men, women and children matter and we need to continue to help them, be there to listen and be a friend. Homelessness hits home personally because my brother is homeless and he matters. We were all created in the image of God, made for Him by Him and we need to care for everyone. More homeless need to have a voice.This is great! Don’t go quietly into the good night!